A good-looking and efficient hatchback that's fun to drive, boasts a comfortable cabin and comes equipped with plenty of clever features. A standout performer in the Renault range, the Megane is a family car that's a strong contender in the compact hatch class. 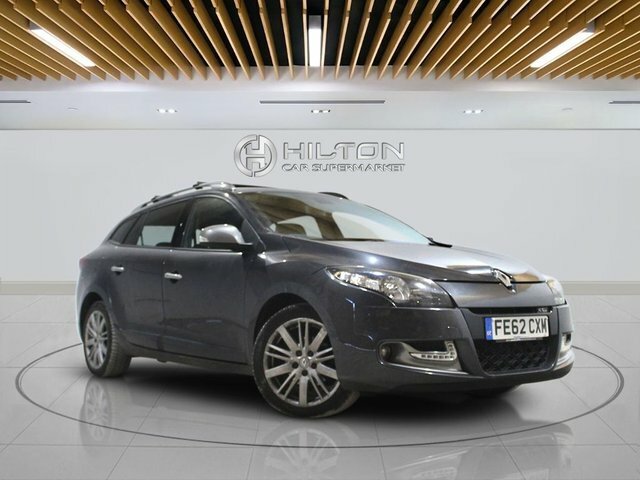 You'll find great deals on used Renault Megane models for sale in Watford by coming to Elite Automotive Ltd T/A Hilton Car Supermarket. We stock a great selection of quality vehicles, all of which are inspected by a trained technician prior to going on sale. Start your search here on the website and be sure to contact a member of the showroom team for more information on any of the models listed. Finance is available to UK residents aged 18 years or older, subject to status. Terms & Conditions apply. Indemnities may be required. Other finance offers may be available but cannot be used in conjunction with this offer. We work with a number of carefully selected credit providers who may be able to offer you finance for your purchase, commission may be received. We are only able to offer finance products from these providers. Postal Address: Elite Automotive Ltd T/A Hilton Car Supermarket, Watling Street, Hockcliffe, Bedfordshire, Bedfordshire LU7 9LJ. Find contact details here.